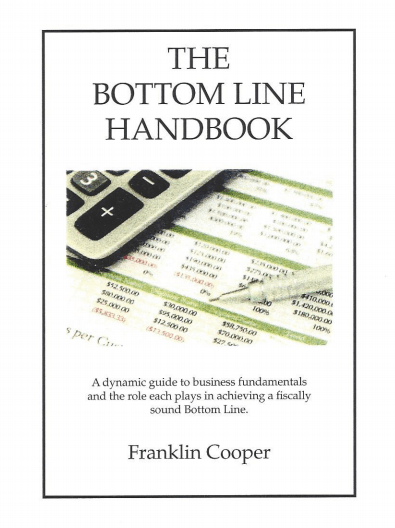 The Bottom Line Handbook analyses the effect of business fundamentals on the bottom line. The book offers practical chapter by chapter implementation guides to help owners and managers initiate the changes needed in all parts of their organizations. Physical facilities, workforce, branding, marketing, customer service, product development, technology, and ethics are all addressed from the view-point of adding value to the company. The book is very enlightening (as well as inspiring). It gives the reader a lot to internalize. It shows a passion for the subject matter and a significant amount of planning and preparation in crafting the work. It considers the audience by adding details that add to its credibility. It is nicely paced and very engaging. In addition the narrative voice is just great – very familiar and easy to follow. It is an excellent piece; one that should be well received by a wide audience. Lisa Conner, Manuscript Review Team – Outskirts Press, Inc.